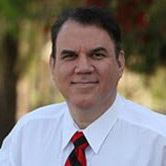 The International edition of 9/11: Explosive Evidence -- Experts Speak Out is now available, providing the World Trade Center evidence in 17 languages; Congressman Alan Grayson calls for full disclosure on 9/11 after being questioned about Building 7 on CSPAN; We honor the memory of Dr. Bob Bowman, a fearless advocate for 9/11 truth and justice. Who Are Those 2,000 Architects and Engineers? More than 2,000 architects and engineers have now signed the AE911Truth petition to Congress calling for a new, independent investigation into the World Trade Center attacks on 9/11! 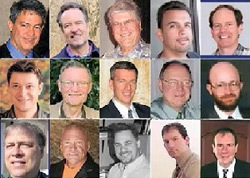 By recently adding their names and reputations to the petition, the professionals who pushed us past the 2,000 mark in August bolster the foundation of credibility and scientific knowledge on which the AE911Truth effort is built. You can now download the full petition signer list! Reaching this milestone is doubly exciting because it comes just in time for the kickoff of the worldwide ReThink911 ad campaign – itself a watershed event – on the 12th anniversary of 9/11. Will the Truth Come Out About Building 7? Editor's note: If you would like to help the 2,000+ architects and engineers at AE911Truth and other supporters in their efforts to educate the public about, and hold our elected representatives accountable for, the truth about the destruction of the World Trade Center Skyscrapers, please read about our new campaign at ReThink911.org to see what you can do. The television station C-SPAN in Washington DC performs a great service to the American people by making members of Congress accessible to them through its morning call-in show, Washington Journal. 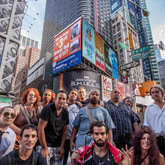 Join ReThink911s main event in Times Square this September 11, 2013 right below our Times Square billboard at 5:20pm (47th street and 7th avenue). Special guests include Former Congresswoman Cynthia McKinney, Dr. William Pepper, Bob McIlvaine, Reverend Frank Morales, Richard Gage, AIA. More VIP guests to be announced. Be there! 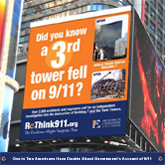 Richard Gage, AIA and the ReThink911 campaign are bringing the message straight to New Yorks political leaders and national media outlets with an all-day tour culminating in a rally at ReThink911s towering Times Square billboard at 5:20pm-exactly 12 years to the minute since Building 7 fell. On the 12th anniversary of 9/11, a new national survey by the polling firm YouGov reveals that one in two Americans have doubts about the governments account of 9/11. In addition, after viewing video footage of World Trade Center Building 7’s collapse, 46% suspect that it was caused by a controlled demolition. Sign up to volunteer now! Read the full article and download the poll results at http://rethink911.org/news/new-poll-finds-most-americans-open-to-alternative-911-theories. Editor's Note: The Translation Team is always looking to add to its current list of languages. 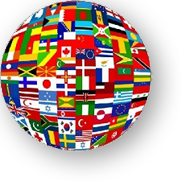 If you can help us translate into a language that we have not yet covered, or would like to join one of our existing language teams, your help would be greatly appreciated. Sign up to volunteer now! Just in time for the upcoming 12th anniversary of 9/11, AE911Truth is proud to announce the release of the International Edition of “9/11: Explosive Evidence – Experts Speak Out.” This DVD includes subtitles to allow non-English-speaking viewers to learn about the myth-shattering World Trade Center evidence from more than 40 technical and building professionals. Editors note: To this day, most people, including many architects and engineers, are not aware that a third skyscraper, World Trade Center Building 7, mysteriously collapsed along with the World Trade Center Twin Towers on September 11, 2001. The official report on this buildings collapse by the National Institute of Standards and Technology (NIST) has been challenged by many reputable and credentialed technical professionals. The NIST analysis has not undergone the rigors of scientific peer review  the typical pathway for validating significant scientific theories. Chris Sarns research appears in Dr. David Ray Griffins book titled The Mysterious Collapse of World Trade Center 7 . 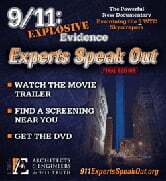 Editor's note: Dr. Bob Bowman appears in the landmark AE911Truth documentary 9/11: Explosive Evidence  Experts Speak Out, in which he declares, “I signed that petition because the American people need the truth about 9/11." In honor of Dr. Bowman, we will keep his signature on our petition. 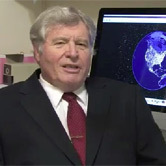 Bob earned his PhD in aeronautics and nuclear engineering at Caltech. He retired as a lieutenant colonel after 22 years in the Air Force, which included 101 missions as a fighter pilot in Vietnam. While he is best known for his role as Director of Advanced Space Programs for the Air Force during the Ford and Carter Administrations, he was also a leading critic of the Star Wars direction of the program during the Reagan Administration. Editor's Note: You can find out more about this informative new documentary at 911inAcademia.com. Coming this fall, 9/11 in the Academic Community, a winner at the University of Toronto Film Festival, is a unique film that documents academia*#146;s treatment of critical perspectives on 9/11. It explores the taboo that has been effective in shielding the American governments narrative of the events of 9/11 from scholarly examination. Through a powerful reflection on intellectual courage and the purpose of academia, the film aims at changing intellectual discourse on 9/11 and the War on Terror. 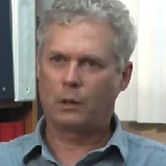 As well as probing the repercussions several scholars have endured due to their individual investigations into 9/11, this documentary provides an analysis of impairments in professional inquiry, ranging from the failure to critically reflect on terms that function as thought-stoppers (such as conspiracy theory) to the structural approach that restricts inquiry to the broad implications of 9/11 while shutting out enquiry into the events of the day itself. 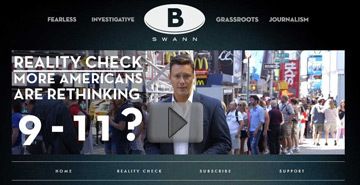 Trailer for the two-hour Research Edition of 9/11: Blueprint for Truth DVD.